January means a fresh start, a new perspective on life and hopefully many more scrapbook creations! 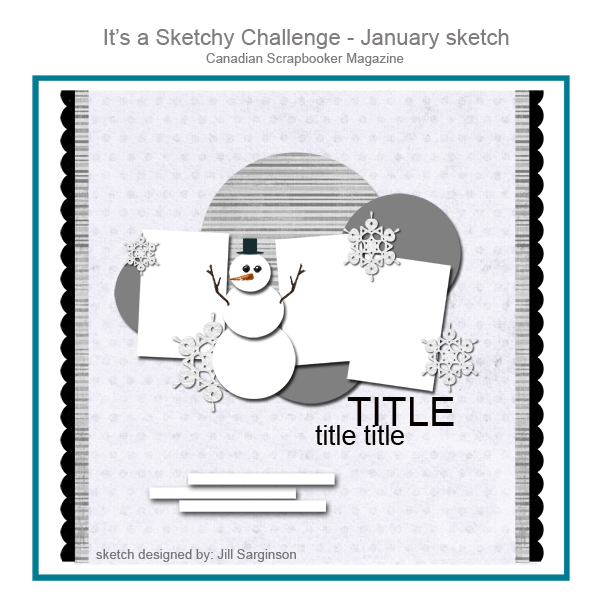 Today I’d like to share the layout I designed for the Canadian Scrapbooker January Sketchy Challenge. Here is Jill Sarginson‘s wonderful sketch…. 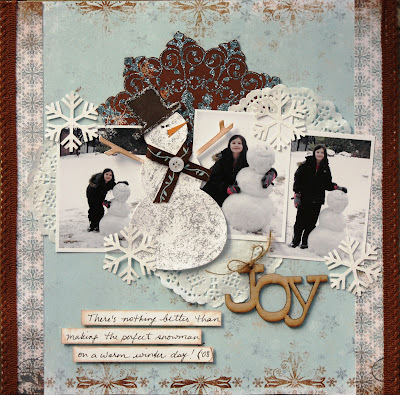 Who doesn’t love creating a winter page with a snowman? Hmmm…I suppose it might be a rare occasion to build a snowman for my scrapbooking friends living in warm climates. Actually, right now we almost have had a brown Christmas with very little snowfall. Not that I’m anxious for more white stuff to arrive…oh no. But we have not had enough snow for snowmen, so I had to dig through my archives to find these pics of BabyOfTheFamily (BOF) from 2008. 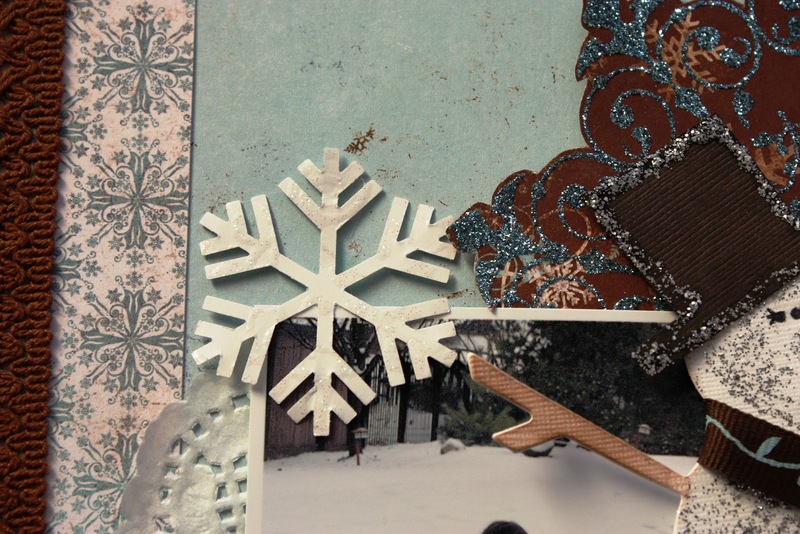 I used papers from the BoBunny “Snowfall” Collection….such a beautiful set of papers, all glittery and sparkly…and they’re actually sold out in every scrapbook store in town! I think the star of this page is the snowman….and I’m so happy to tell you that BabyOfTheFamily made this handsome fella! Just before Christmas, she attended a wonderful craft workshop for kids at The Urban Scrapbook. The crafts were designed by the talented Krista. I think the snowman is cut with a Sizzix die. He is covered with Silver Stickles and his hat is outlined with Picket Fence Distress Stickles. Just LOVE this snowflake punch from Stampin’ Up! I punched the snowflakes from Best Creations Glitter Paper. Now there’s a great short cut…no Stickles or Glitter or mess necessary….just use Glitter paper instead! This laser cut wood title is from Ezee Pzee…a Canadian company. 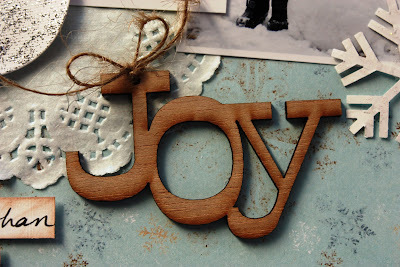 Ezee Pzee makes lots of fabulous chipboard elements too! Ironically, I’m posting this wintery layout and then flying off to Mexico….so my next design might include photos of sand….instead of snow. Yay! Just how cute is that snowman? Great layout Kelly! Have a fantastic trip and I’m looking forward to those sun and sand layouts when you get back! What a gorgeous and adorable LO my friend!! BOF did a great job with the snowman and the basketball head. Very nice layout. Happy New Year Kelly and I agree that optimism always prevails! love the sketch…..and your creation is just gorgeous. Happy new Year! Super cute LO Kelly! Happy New Year to you and have a sunshine filled time in Mexico!! Buen viaje! What a gorgeous winter LO and kudos to BOF!! Such a cute snowman! Have fun in Mexico! Have a great vacation – happy NEW YEAR! such a delightful layout!!! love it! LOVE the ingenuity of your youngster in covering the basketball with snow….makes the PERFECT round head! love it! 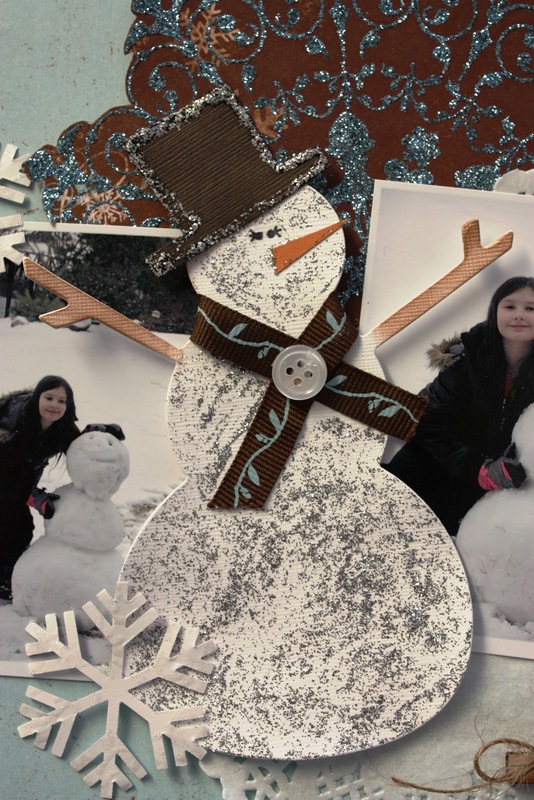 LOVE the snow man your kiddo made too….how awesome! I hope my kiddos join me in this craft one day!!! how fun would that be!!!! Happy New YEAR! Kelly! I hope you have a wonderful vacation in Mexico! I can’t wait to see the pictures and the scrapbook pages you create! I absolutely ADORE this page and that the snowman was made by your daughter. That is just so special! I want to thank you so much for stopping by my blog, too! Happy New Year, dear friend! This is just beautiful, Kelly. You have to admire BOF’s thinking with that basketball. Love her work on the paper snowman too. The whole page is a delight! I hope you have a wonderful trip. 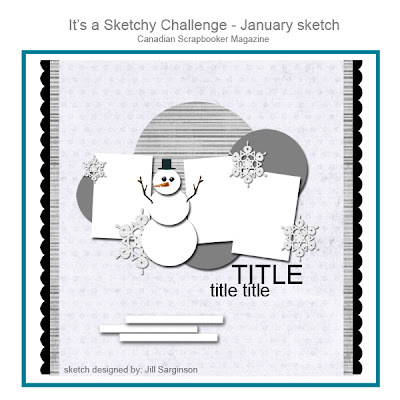 Gorgeous layout, love the snow and what an adorable snowman x.
I love your take on this sketch! and your daughter did such a great job on her snowman!